If you have suffered tooth loss, you have several restoration options. Although implants are considered the best solution for missing teeth, they’re not right for every patient. Your dental insurance may not cover the cost of implant surgery. Like all surgeries, implant surgeries present a few risks such as bleeding, infection, and damage to adjacent teeth. 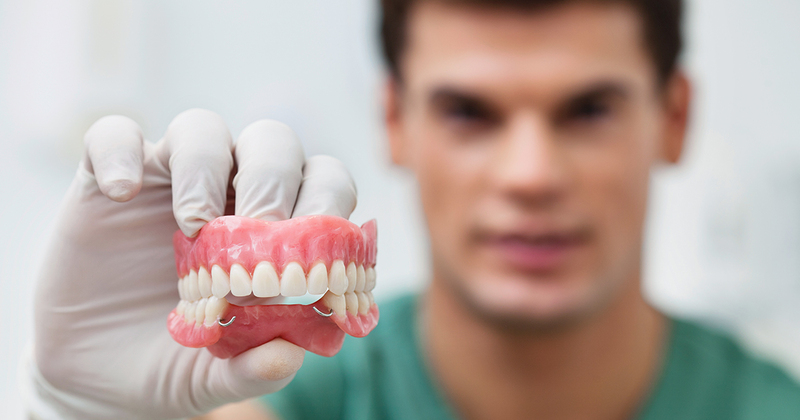 Partial or full dentures can also replace single or multiple teeth. For many, full or partial dentures can be an affordable and practical alternative to implants, but they do have a few drawbacks. Replacement Options for Single Teeth The most common non-implant solution for missing teeth is a tooth-supported fixed bridge. Placing this type of bridge requires some grinding of the healthy teeth that will support the structure. Bone loss in the jaw may occur over time, and a tooth-supported bridge won’t last as long as an implant-supported one. These bridges also require more maintenance. Removable partial dentures don’t require altering healthy teeth, but they do have several disadvantages. They won’t look as natural as an implant-supported ceramic crown, and they may be less stable. Resin-bonded bridges are sometimes used to restore front teeth. They have wings on each side to attach to healthy adjacent teeth, but no grinding or other preparation is required. Their appearance is superior to that of removable full dentures, but they aren’t as durable as fixed bridges. A dentures dentist can determine which single-tooth restoration type is most appropriate for your needs. Replacement Options for Multiple Teeth or All Teeth A dentures dentist can also create a partial denture to replace several teeth, but these are less stable than both implants and implant-supported dentures. A partial denture may also be less attractive, less comfortable, and more likely to interfere with speaking and eating. A low-cost alternative for replacing all teeth is a complete denture; this appliance sits on top of the gums where teeth once were. Some people find them uncomfortable, and they can shift, slide, or produce sore gums. To learn which option is best for your dental health, consult a dentures dentist for more information. To get the dental care you deserve from an affordable dentist in Atlanta, call today at or make an appointment. Dental One Associates offers affordable family dentistry and gentle, compassionate dental care in Atlanta. With 8 affiliated practices throughout Georgia, our offices are conveniently located with extended hours to meet your needs. At , we provide most dental services, from basic preventative care and general dentistry to specialized procedures and complete dental reconstruction. We accept most dental insurance plans and offer affordable financial solutions for any budget. Patient satisfaction is our top priority and we strive to provide the exceptional, affordable dental care and personal touch that lead to lasting relationships. A smiling patient is our greatest reward and we look forward to keeping those smiles healthy, beautiful, and bright. Discover an affordable dentist who truly cares at .